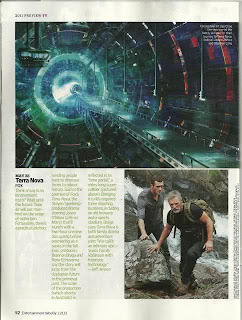 Spielberg's science-fiction show Terra Nova debutes in the fall and "Entertainment Weekly" got some exclusive concept art of the show's "time tunnel." Previously, the studio has posted the "concept-art-turned-logo" shown below. IMDB lists Richard S. Lee (Sucker Punch, The Last Airbender, Percy Jackson & the Olympians: The Lightning Thief, Cloudy with a Chance of Meatballs) as the concept artist for the pilot, so we have him to thank for this work. Watch the trailer below. 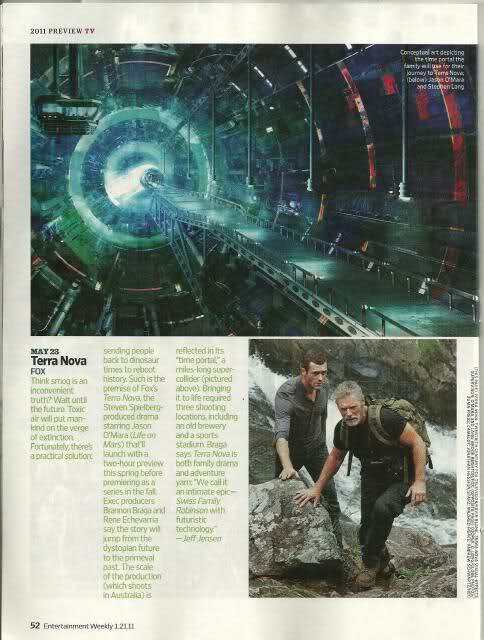 What's funny is that they hired Stephen Lang to play the leader of the crew and he plays the exact same character as he did in Avatar as Colonel Quaritch. 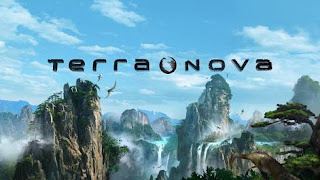 What do you think of Terra Nova? Does it look like a winner?